This is the last version of the 32 x IO Hat. I just modified it to use the faster SPI towards RPI bus. The Power connector on the right side is for Servo’s. It enables a different voltage than 3.3V supplied from a separate PSU Hat. The jumper need to be set for 3.3V to be connected to IO. Every line has TVS protection, so this is a decently safe board. 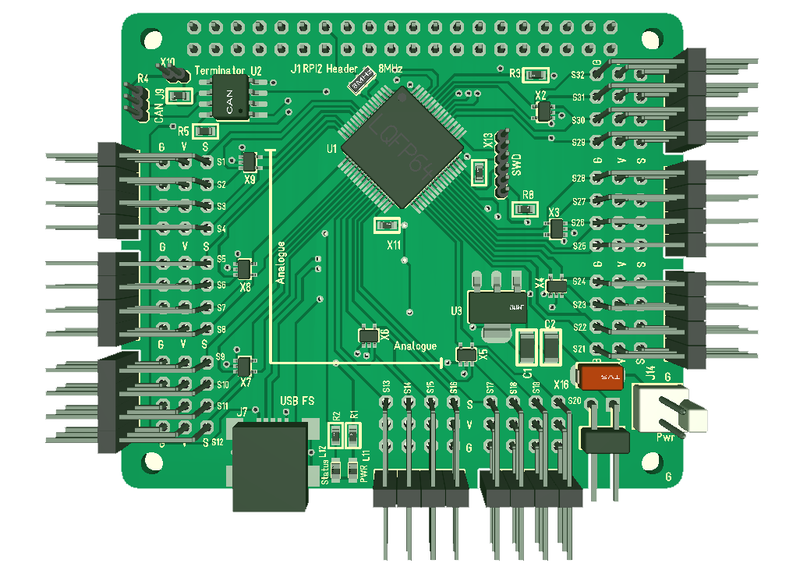 This board basically export 32 pins with TVS protection and add V+ and GND making it ideal for Servo, Sensors or just a plain GPIO Hat. 32 GPIO of which 17 is 5V tolerant.